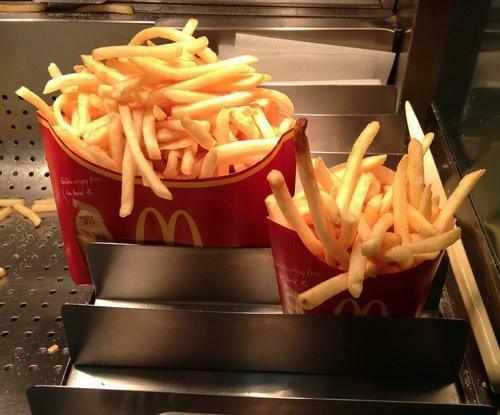 World’s largest fast food chain McDonald’s has just released its highest calorie item ever in Japan: the Mega Potato. The Mega Potato is almost a pound of the brand’s famous fries, and contains 1,142 calories and costs $4.9, the Consumerist reported, citing Japan Today. “The Mega Potato will set you back 490 yen and also cost you a large chunk of your dignity and possibly a few years of your life,” Japan Today wrote. McDonald’s latest exercise in caloric excess in Japan is in stark contrast to what it’s attempting in the U.S. The company has recently added a slew of healthy offerings, including a chicken McWrap to compete with Subway and draw in calorie-conscious millennials. McDonald’s also released the Egg White Delight and added more smoothie flavors with fresh fruit.